Send your thoughts (pictures too) of gratitude, good humor or congratulations via Twitter or Facebook or email me directly at rachael@walkwithadoc.org. And thank you, truly, for being a part of the WWAD family! We couldn’t be prouder of all you’ve accomplished. Walk with a Doc has made you a star across the country, but you’ve always been a star to us. We knew when you got into med school that that was only the beginning. Congratulations on ten years of shaping the world, we can’t wait to see what the next ten years will bring. One of the best moments in our day is when people approach us and say “You must be so proud of him.” We are! We’ve learned so much from you. We try to get out there and walk or exercise every day. You’ve got your mother off the couch more times than you know. “Stay hungry, stay foolish,” but most of all stay YOU! It was a privilege to be the recipient of his “frustrated rant” that he knew what his patients needed was exercise and what he needed a way to prescribe it for them. His desire to change the world has benefited so many! When I read about Walk with a Doc in a magazine 6 years ago, thoughts ran through my head prompting to think that this program was really impactful and powerful. I wasn’t really sure if I would ever do it or be able to do it. When I finally laid roots in Denver and started here, I knew I had to do more for my patients and my community. 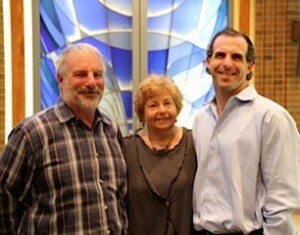 I quickly called Walk with a Doc and spoke with David Sabgir, the founder. I was excited and ready to begin….I had high hopes, lots of energy, and put months into planning and organizing. When I launched it, I was relieved to have 10 people show up. Now, through continued help of my volunteers, David’s support and enthusiasm, and nearly 60 walks later, I am please to say I now have anywhere from 75 to 150 at nearly every walk AND 5 walks in the Denver metro area which I help to coordinate through my equally energetic peers. 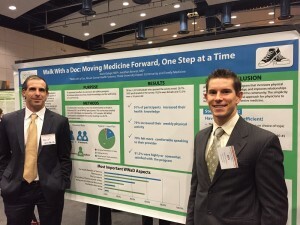 Walk with a Doc literally changed my focus and career. It enabled me to do more for my patients and the public than I ever could have done in my office alone. It energized me to make my own lifestyle changes and to literally walk the walk. Without Walk with a Doc, I wouldn’t be who I am today. David’s vision for improving the health of his patients that lead to the development of WWAD is a shining light of untainted altruism in an industry too often accused of putting economics and provider interests first. 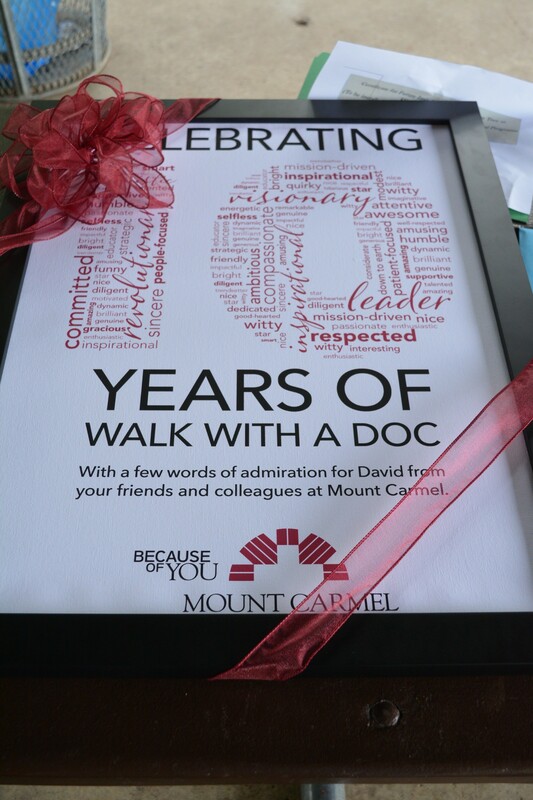 It has been an honor to “walk” with David on his journey to change this reality for patients across the country and to reconnect physicians with the passion that brought them to their caring profession. Since our first introduction to WWAD via the National Recreation and Park Association’s webinar in 2012?, I have been so impressed with the dedication and passion Dr. David Sabgir exudes. His enthusiasm and commitment to create a healthier country is inspiring….one step at a time! On those very cold Saturday mornings when I just want to stay snuggled in my bed instead of heading out for our 9am walk, I get motivated by simply saying to myself, “What Would Dr. David Do? (WWDDD)”. Knowing that he deals with heart patients all day long and sees the consequences of inactivity and poor dietary choices helps me realize that what we are doing is very important! This is what keeps me going – no matter what! Dr. David – thanks for your vision and passion….AND your sense of humor!! Congrats on 10 years of making people healthier!!! You ‘da best!!!!! PS: Here’s a big HUG too! When Dave asked me to be on the Board of WWAD the program was in its infancy. Dave, Krissy, their children and the WWAD staff have shown amazing dedication during the last ten years to make WWAD a remarkable international program. Dave’s passion from the beginning was to help people improve their health. He did not stop with being a cardiologist, he went even further. Congratulations Dave on ten exciting years. You are truly an inspiration to all. David has been an inspiration for me to incorporate walking 150 Minutes plus a week into my routine and I feel I am much better off as a result. It has been an honor to be associated with Dr Sabgir. I also appreciate the many friends I have made as a result of the Walk. There is no man, physician or program that is more genuine than Dr. David Sabgir and Walk with a Doc. 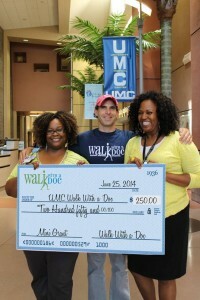 David and the walk bring out the BEST in medicine, providing confidence, education and self-advocacy in YOUR health. We are beyond blessed to have him in Columbus and the country is better for having Walk with a Doc! Thank you, David, for your unwavering commitment to transform medicine. David has such passion and love for the walk. He was able to take something small in his community and make it huge, impacting so many lives. It is a privilege to be able to work with him and help spread the word. It’s been an honor to meet and get to know Dr. Sabgir over the last two years. The Walk With a Doc program has allowed me to connect with people in a healthy way and it’s just a fun program to be a part of. From Austin, TMA, and the Texas Chili Parlor, we wish you continued success! Housed in David’s office or conference room we spent endless hours with giant vision boards taped to the wall, all the walls. He always looked at the big picture…never settling for anything less, I loved that about him. When I first talked to David about working on the project, I went into the conversation thinking I just don’t have time…needless to say 1 ½ hours later I ended the call with a YES, I’d love to join you! 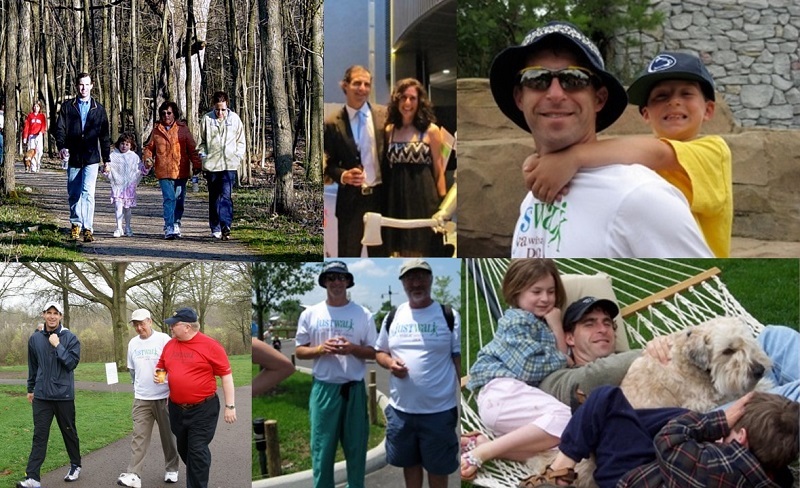 I love walking but what I most loved was David’s commitment to his patients, family members and actually everyone. He knows that by simply participating himself he would be the difference. Taking off his white coat and putting on his running shoes, laughing, talking and conversing won the hearts of everyone. We always included healthful snacks, blood pressure checks, stretching and wonderful friendships were developed by many of the walkers. We walked outside and inside Polaris Mall…we just kept walking. We set meetings with the Ohio Department of Parks and Recreation, pharmaceutical companies, staff meetings, corporations, you name it, we did it…he was tireless. I’d like to share two of my most memorable moments…we always asked if people had questions and David always put the answers in simple terms so everyone could understand. One elderly lady said I do have some questions, she turned around and picked up an accordion file full of papers…I think Reva’s eyes were larger than mine and David’s but he was patient and kind…the second memorable moment was one of our elderly walkers started with us and could barely get out of her car and walked with a cane. After a months with us she would be smiling as she got out of her car and walked…without a cane! David is who I tell everyone is my hero… defined as a man of distinguished courage or ability, admired for his brave deeds and noble qualities. This is David…the truest of friends and the best of the best…my hero! Congratulations David for your wonderful success…you do make a difference every single day! I have never left a walk, a meeting or even a brief conversation with David without being inspired to be better and do more, both personally and professionally. Thank you David for everything you do for all of us! Your amazing vision is only equaled by your selflessness and humility (not to mention your sense of humor). 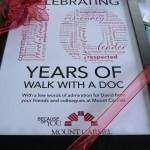 Congrats on 10 years of making a difference! 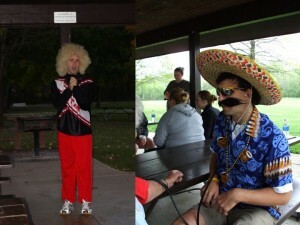 David has the knack to combine learning and levity for the health benefits of WWAD participants. I discovered Walk With a Doc as a medical student, and from the moment I met David, I knew this was something special. It has been a true blessing to know and work with him throughout my medical school and residency training. I have never been around a more passionate, dedicated, and genuinely good-hearted person. His enthusiasm and desire to change the health of this country cannot help but inspire. Having personally experienced the effect the walks have had on hundreds of people, I can honestly say that Walk With a Doc has the power to change the world, literally, one step at a time. I’d like to say that he is the epitome of kindness and generosity! His sense of humor, dedication and commitment to promoting good health, one step at a time, are what makes me happy and grateful to be a part of WWAD.The program really is one of the best parts of my job!